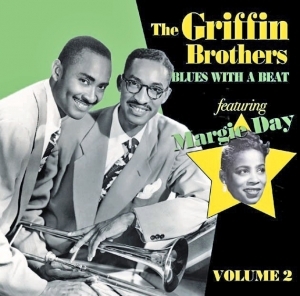 This second volume of the recordings of the fabulous Griffin Brothers Orchestra featuring Margie Day and Tommy Brown consists of 23 more of their rocking R&B workouts most of which are making their CD debut. When the Orchestra disbanded Buddy Griffin recorded with his wife Claudia and four of these titles are featured as bonus tracks. The fully illustrated 12 page booklet comes with detailed liner notes by R&B expert Dave Penny.